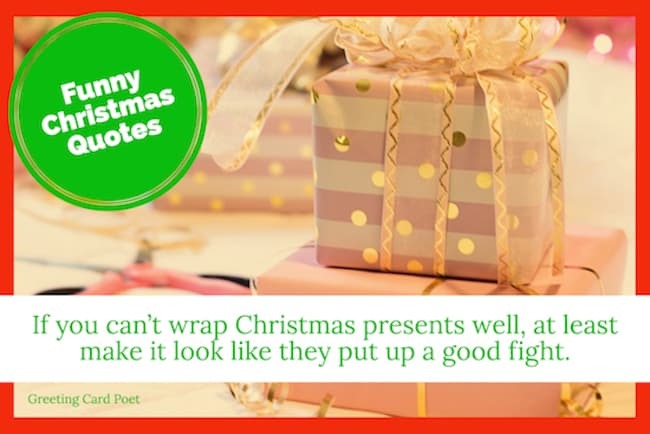 We could all use a few funny Christmas quotes to brighten up our spirits during the holidays. Christmas is that time of the year when you have to enjoy it like there is no tomorrow. It is that time when you share presents and kind words with an open heart – no matter what the bills are. There is no other time like Christmas. It is also a time when you can take all the freedom to be humorous with anyone. Hopefully, these gems will help generate a laugh or two. Always jingle all the way. 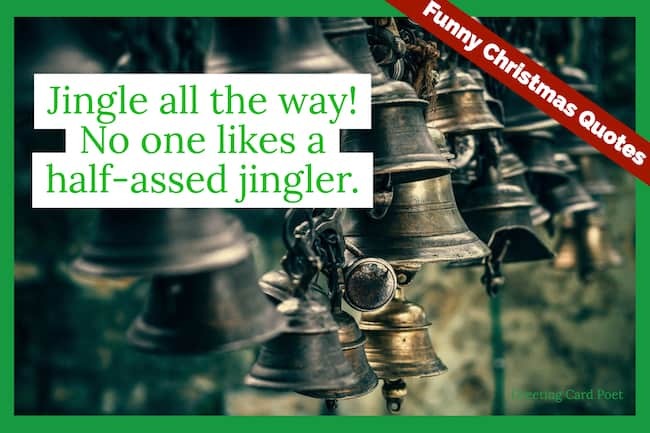 Nobody likes a half-assed jingler. It’s all fun and games until Santa checks the naughty list. Check out our Merry Christmas page. Nothing says holiday like a cheese log. Who’s the bane of Santa’s life? The elf and safety officer. 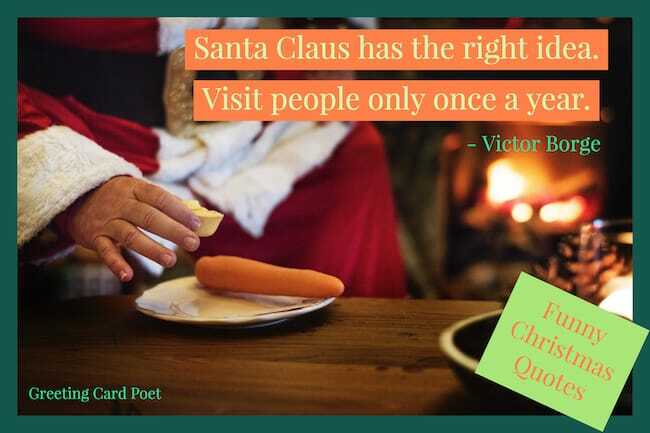 Aren’t we forgetting the true meaning of this day – the birth of Santa? Christmas shopping for your parents is easy. Just buy them clothes you wouldn’t get caught dead in. It’s the holiday season. Let the overeating begin. What’s the best part of Christmas shopping? When you know it’s a wrap. You know you’ve had a good Christmas when you spend more time unwrapping presents than untangling lights. One good thing about Christmas shopping is it toughens you for the January sales. I don’t know what to say, but it’s Christmas and we’re all in misery. The heavenly aroma still hung in the house. But it was gone, all gone. No turkey. No turkey sandwiches. And, no turkey salad. And, no turkey gravy. Turkey Hash. Turkey a la King. Or gallons of turkey soup. Gone, ALL GONE. We’re gonna have the hap- hap- happiest Christmas. You’ll shoot your eye out kid. Merry Christmas. Why were there only three kings at Jesus’ birth? Elvis had not yet entered the building. May your longest list this Christmas be the one that counts your blessings. Santa saw your Instagram pictures. You are getting clothes and a Bible for Christmas. Christmas is cancelled. You told Santa that you have been good this year. He died laughing. Know what the best thing about this card is? 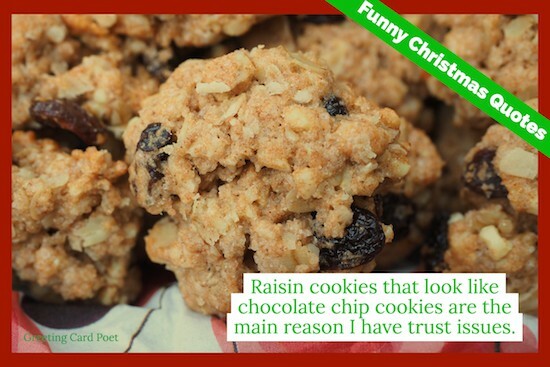 It doesn’t come with a fruitcake. I wish for your holidays to be filled with many big smiles and big celebrations – but hopefully not big credit card bills. 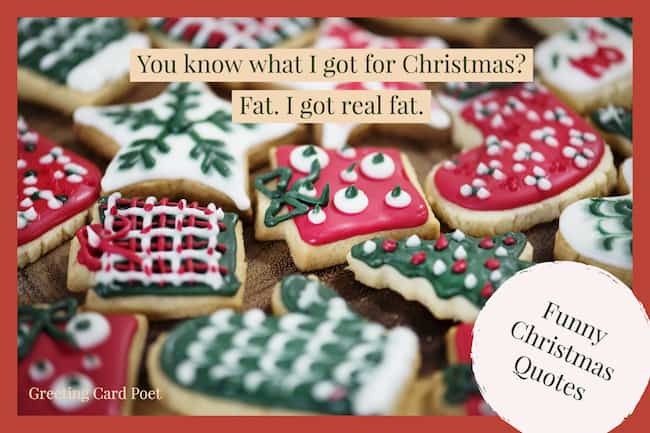 My Christmas wish for you this year is simple: with all you are going to consume over the holidays, I hope your digestive system can handle it like a champ. Happy holidays. May your egg nog contain enough rum to get you through the Christmas season. Merry Christmas. May you receive presents that make you happy – and not fruitcake and ugly Christmas sweaters. If you finish your Christmas shopping early, you should consider what’s wrong with you having so few friends. May the calories of Christmas disappear by the New Year. Happy holidays. I wish you wealth in nothingness and love in loneliness; When you have nothing to celebrate the Christmas, just believe that the next knock at your door belongs to Santa. Merry Christmas. Santa is giving you the gift of a frigid winter – but just for a few more months. I wanted to send you something amazing for Christmas but the mailman told me to get out of the mailbox. Merry X-mas. May you be surrounded by jolly elves – and not nasty grinches- this holiday season. 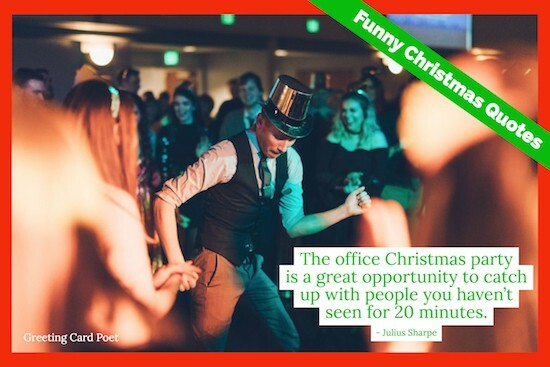 Many banks have a new kind of Christmas club in operation. The new club helps you save money to pay for last year’s gifts. I stopped believing in Santa Clause when I was six. Mother took me to see him in a department store, and he asked for my autograph. Xmas: The only time of the year where you can sit in front of a dead tree and eat candy out of socks. I’m dreaming of a white Xmas. But, if it runs out, I’ll drink the red. 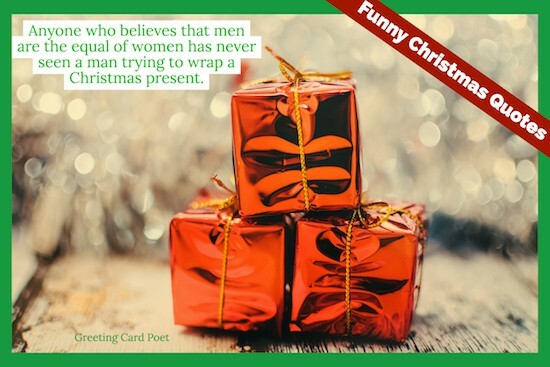 You’re on Funny Christmas Quotes.